This Bachelor of Education (Physical and Health Education) degree will equip you with the necessary professional knowledge and skills to start a career as a PHE teacher within the Australian school system. The course will give you a comprehensive overview of health, nutrition, and fitness basics – all within a pedagogical framework. The course will also equip you with the strategies and tools to succeed as a teacher within the educational sector. 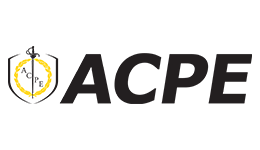 Offered for on-campus study (with selected subjects available online) at ACPE, by studying this course you will have complete access to state-of-the-art facilities, teaching materials and support from faculty. To ensure classroom readiness students undertake school-based professional experience placement throughout their degree. Study this course to become a qualified PE teacher! Upon successful completion of this course you will receive a nationally recognised, accredited Bachelor of Education (Physical and Health Education) from the Australian College of Physical Education. Graduates of this course will be qualified to enter employment within the secondary school system, or pursue alternate career options within the fitness, sports and health industries.